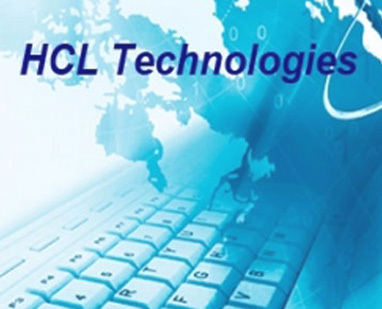 New Delhi: India's fourth-largest software services exporter HCL Technologies on Friday reported 28 per cent rise in consolidated net profit at Rs 1,915 crore for the second quarter ended December 2014 on growth in European business as well as life-sciences and healthcare verticals. The city-based firm, which follows July-June fiscal year, had posted a net profit of Rs 1,496 crore in the year-ago period, it said in a BSE filing. Consolidated revenues grew by 13.4 per cent at Rs 9,283 crore in the October-December 2014 quarter as against Rs 8,184 crore in the same quarter of the previous fiscal. New Delhi: India's fourth largest software services firm HCL Technologies on Thursday reported a 53.7 percent jump in its consolidated net profit to Rs 1,834 crore for the fourth quarter ended June 30, 2014. Its consolidated revenues rose 20.7 percent to Rs 8,424 crore in the April-June quarter as against Rs 6,980 crore in the same period last year. 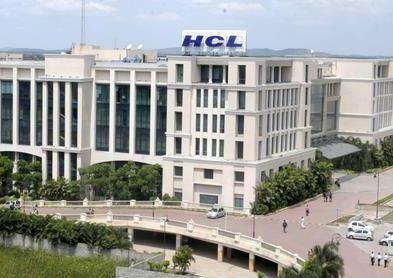 Bangalore, May 7 : India's fourth largest IT bellwether HCL Technologies bagged a $400-million (Rs. 2,400 crore) deal to run the IT operations of DNB Bank ASA, Norway's largest bank. "As part of the multi-year deal, we will migrate and transform DNB's systems and infrastructure from its IT partner to two data centres in Norway," HCL vice president Ashish Gupta said in a statement here Wednesday. As the world's leading maritime shipping banks, DNB provides a wide range of financial services to 2.5 million customers and end users in the Nordic region and key international locations. HCL Tech stock gained nearly 3.5 per cent to hit its record high of Rs 1,377 a share in early trade on Thursday, owing to more than expected rise in the company's consolidated net profit in the December quarter. The company announced that its consolidated net profit jumped 58.4 per cent year-on-year to Rs 1,496 crore in the October to December quarter. A group of 24 analysts had pegged consolidated net profit figure for the company's third quarter at Rs 1,422 crore. Revenue in dollar terms came in at $1,321 million, up 4 per cent over the preceding quarter, while the EBIT margins jumped to 23.7 per cent. The information technology (IT) Index on BSE reached its highest level of 7659.77 points in 52 weeks before closing slightly at 7645.26 on Tuesday, thanks to weaker rupee and increased demand for IT services. Software services exporter Wipro's shares jumped 2.63 per cent to close at Rs 466.80 apiece, while Infosys' shares gained 2.65 per cent to close at Rs 3,084.90 apiece. Shares of TCS and HCL Technologies edged up marginally, by 0.23 per cent and 0.93 per cent, respectively. Shares of software services exporter HCL Technologies gained more than 2 per cent in early trade on Wednesday on National Stock Exchange (NSE), after the company reported better-than-expected rise in quarterly consolidated net profit. HCL said its consolidated net profit jumped 41 per cent year-on-year and 16 per cent quarter-on-quarter to Rs 1,210 crore in the April-June quarter. India's IT major, HCL Technologies has recorded higher than expected growth in its revenues during the third quarter of the year. HCL Technologies recorded strong growth in the infrastructure management services (IMS) segment, which more than compensated for the slow growth in the IT services market. The company was able to record higher growth in the quarter mainly due to new deals and improved operating margins. HCL Technologies will continue to spread out its non-discretionary services in the rebid market as it sees a big emerging opportunity there in 2015, the company's newly appointed president & CEO Anant Gupta said. In a recent interview, Mr. Gupta said that the company would keep on looking at its operating model, instead of looking at a quarterly perfection in utilization, as it continued to see growth in the markets. The next wave of HCL Technologies' growth will be driven by non-traditional markets such as Japan, China and Korea, chairman Shiv Nadar said. Speaking to reporters on the sidelines of third anniversary of VidyaGyan School, established by his philanthropic foundation, Nadar said that HCL was not present in markets like Japan, China and Korea in any significant way, and those newer geographies would offer big business opportunities for the company to grow. HCL Technologies, India's fourth largest software services exporter, has reported a higher-than-expected rise in net profit for the July-September quarter. HCL announced that its net profit rose 3.61 per cent to Rs 885 crore in the three months through September, driven by FOREX gains. Analysts on an average had projected net profit of Rs 788 crore. The shares of HCL Technologies fell by as much as 5 per cent today after reports emerged suggesting that the company is planning a major management shakeup. The country's fourth largest software services provider fell 5.4% to intraday low of Rs 459.75 after a report said that the a major management reshuffle is being planned and CEO Vineet Nayar might leave or will be transferred. The speculation about Nayar's possible exit started on June 9 when he sold all of his shares in the company. He sold 27 lakh shares for about Rs 134 crore in the market. HCL Technologies has reported a higher than expected 28 per cent rise in quarterly net profit as international customers increased orders aiming to save costs during the ongoing global crisis. The India's fourth-largest software services exporter said on Wednesday that its consolidated net profit for the quarter till March 31 increased to Rs 600 crore from Rs 468 crore. The sales of the company increased by an impressive 26 per cent to Rs 5216 crore. HCL Technologies has reported an increase of 43.3 per cent in consolidated profit after tax to Rs 573 crore in the quarter till December 2012. Revenues for the firm rose 13 per cent to Rs 5,254 crore in the quarter compared to Rs 4,651.3 crore in the earlier quarter. In Indian It major reported a net profit of Rs 493.97 crores as compared to Rs 285.97 crores for the quarter till December of 2010.